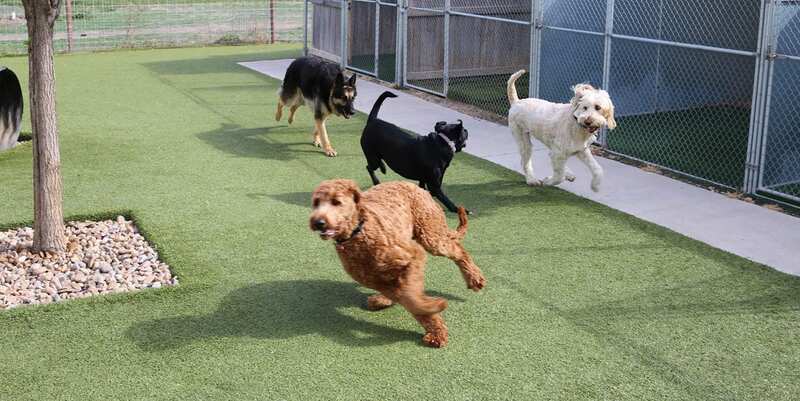 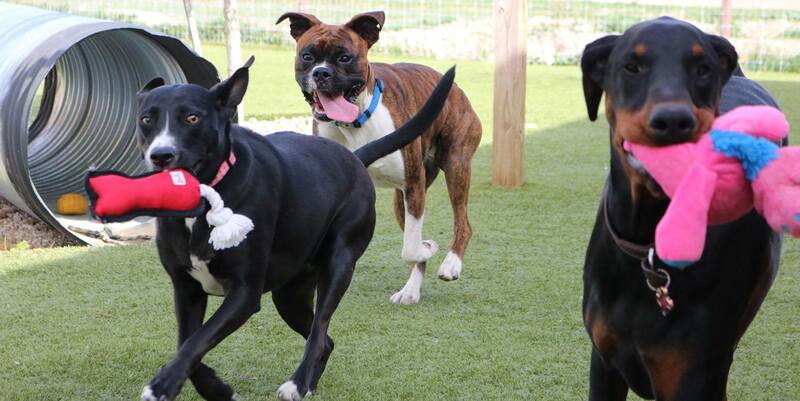 When you have to leave your special furry friends behind, Le Chateau Pet Resort in Amarillo, Texas, provides them with a fun-filled and relaxing vacation of their own. 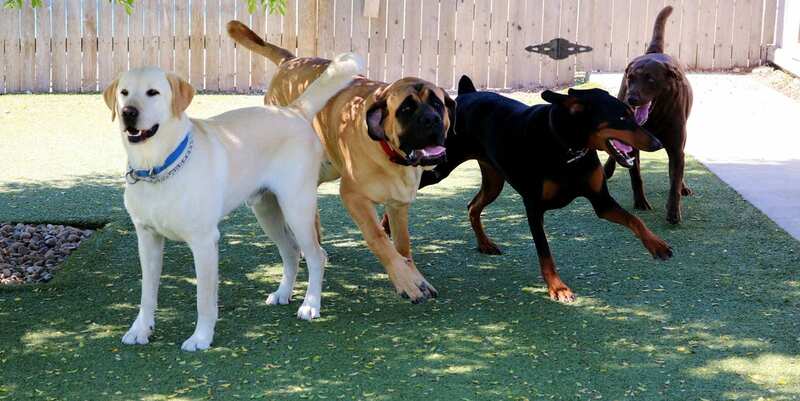 Pet owners love sending their animals to the resort because of the amazing staff and great amenities, but the one complaint they’d receive is that the dogs were sometimes sent home with muddy or wet paws. 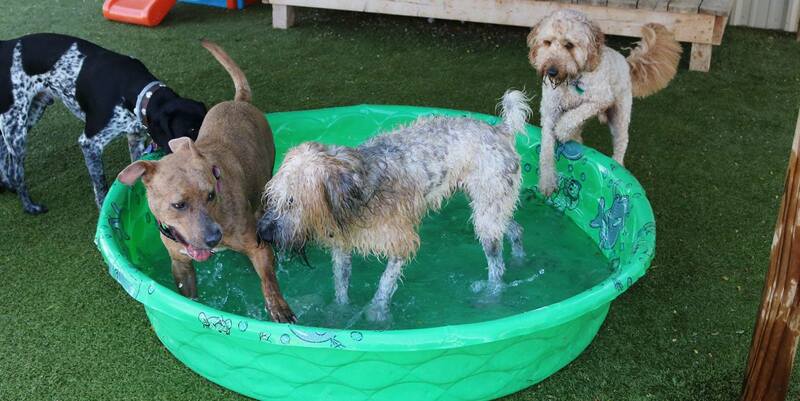 The only solution to that would be ending the dogs’ playtime early to be able to give them all baths and have time to dry off—which is neither the staff’s nor the dogs’ first choice. 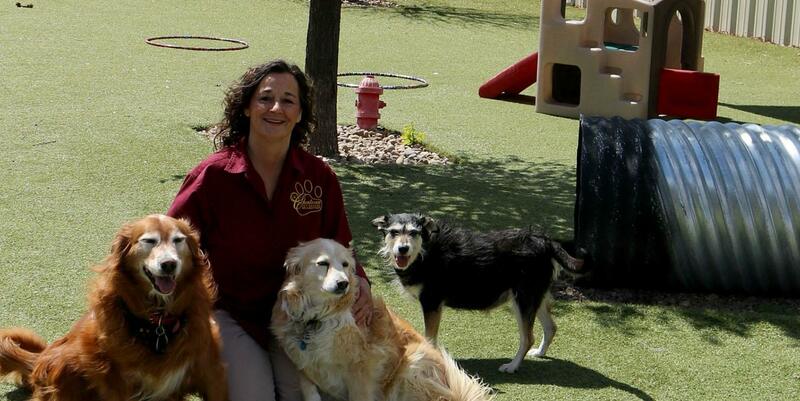 Instead, owner Dawn Hallgren called on ForeverLawn® to install K9Grass® Classic for a 100% drainable and mud-free solution. 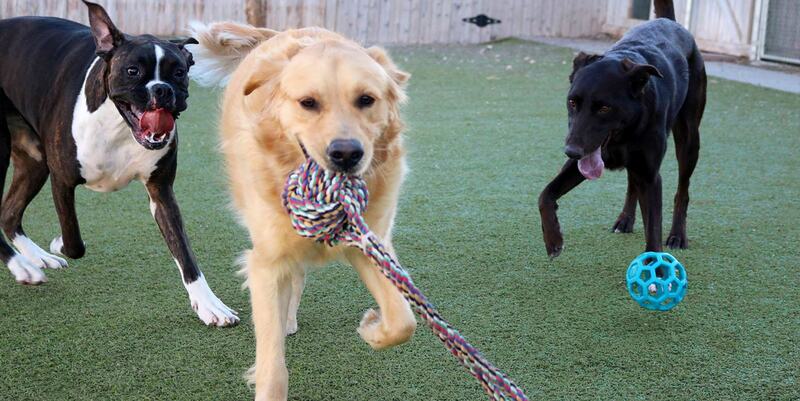 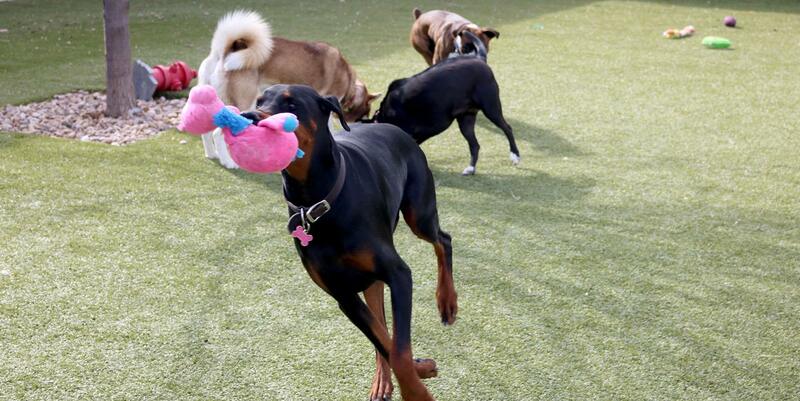 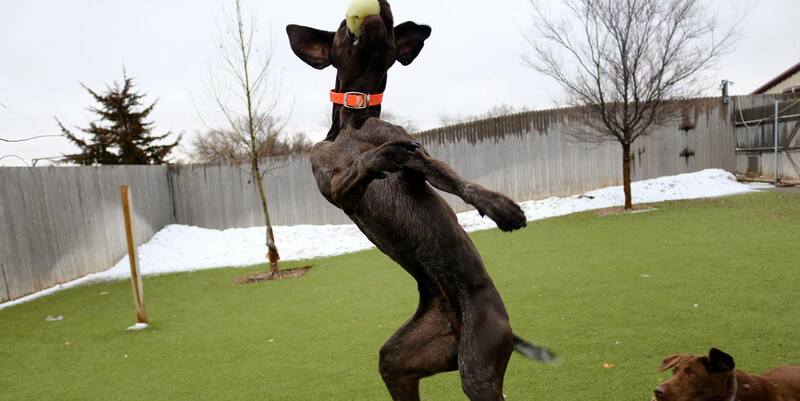 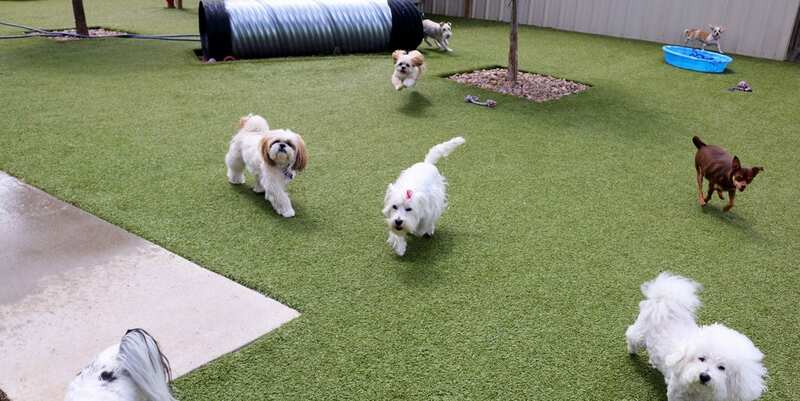 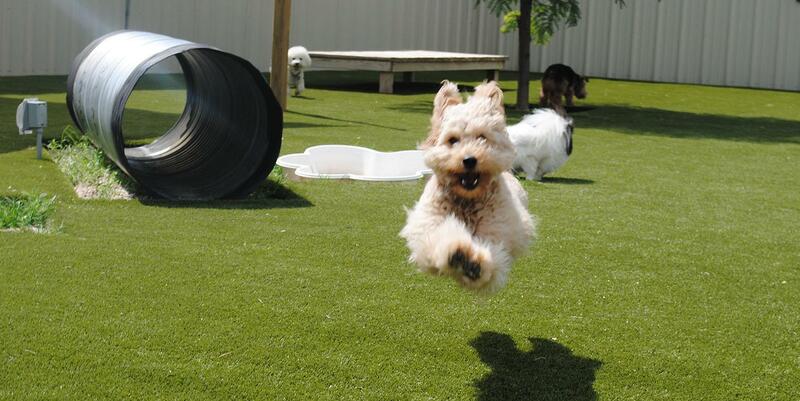 “Pet owners and our staff alike are thrilled with K9Grass that allows for full days of play and no dirty dogs,” says Dawn.